Susana, our yoga´s teacher, will guide you deeply into the practice of Anusara yoga and she will share her deep love for the ocean. 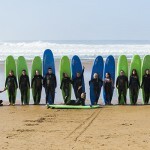 Everyday you will practice yoga and surf, both if you are an experienced surfer or if you are catching your first waves. 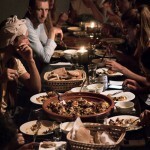 You will stay in Imssouane or Tamraght and you will eat delicious food. 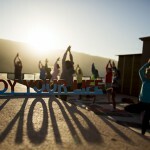 Every day will be amazing, yoga sessions with Susana and surf sessions with our surfguide Youssef. You will surf the perfect spots with him whatever you level. Yogini, traveler, surfer, student of life, Susana loves helping students to find their limits and guiding them to their own hearts through yoga, with love and awareness, structured sequences, precise instruction and her passion for Myth and Philosophy and the therapeutic possibilities of yoga. Based in Morocco, where she teaches retreats and classes, Susana travels internationally to teach workshops, immersions and teacher trainings. In love with the ocean, she feels grounded in the simplicity of her life in Africa. Certified Anusara®Yoga Teacher (2006), E-RYT 500® Yoga Alliance, Acroyoga Certified teacher. 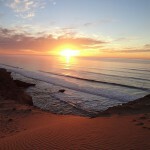 Check our next Yoga Surf Retreat Imsouane here. Also available on request (minimum 5 people), write us.